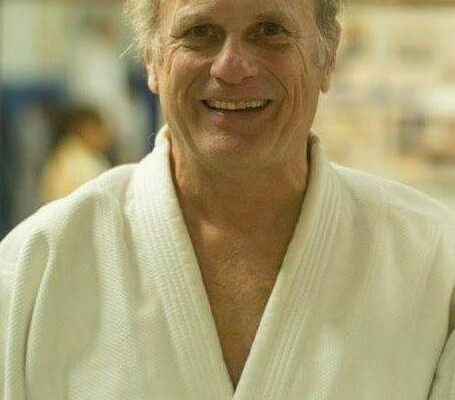 Thank you all for your positive thoughts and best wishes via Facebook to our Sensei Jim. 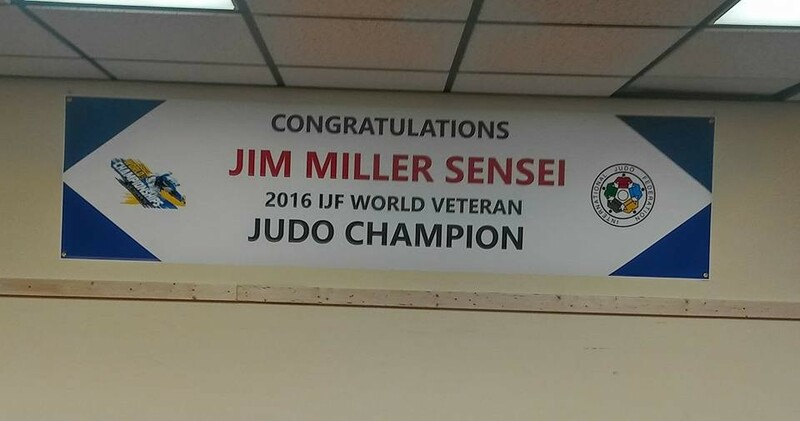 As many of you know, Sensei Jim always fights at every tournament and usually is fighting young men who are certainly not his division, but he does it anyway; he also trains like a beast and we all want to be just like him! 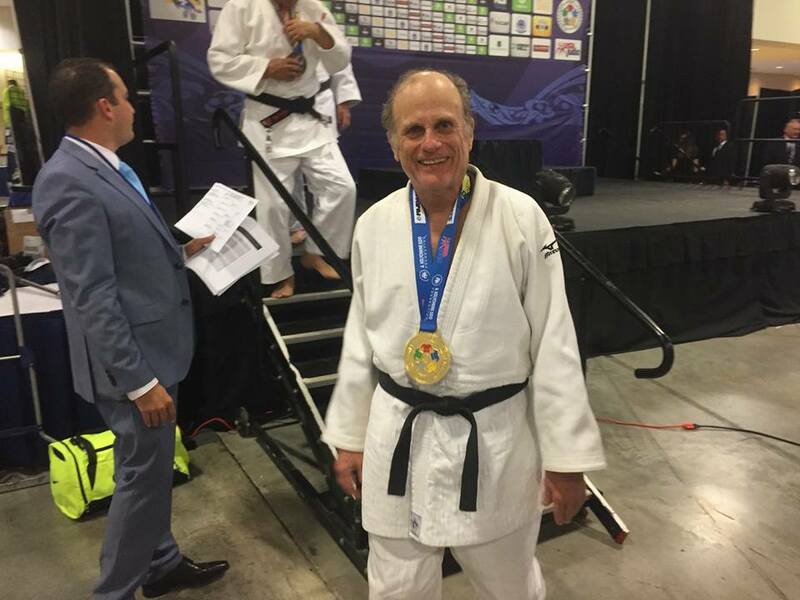 Well, today he got to finally fight in a bracket of his peers–same age, same weight, comparable rank and at the most prestigious event for Masters, The World Championships in Ft. Lauderdale, FL. While all of you were hitting “the LIKE button and messaging “good luck”, Sensei Jim was fighting — he had a pool of 9! 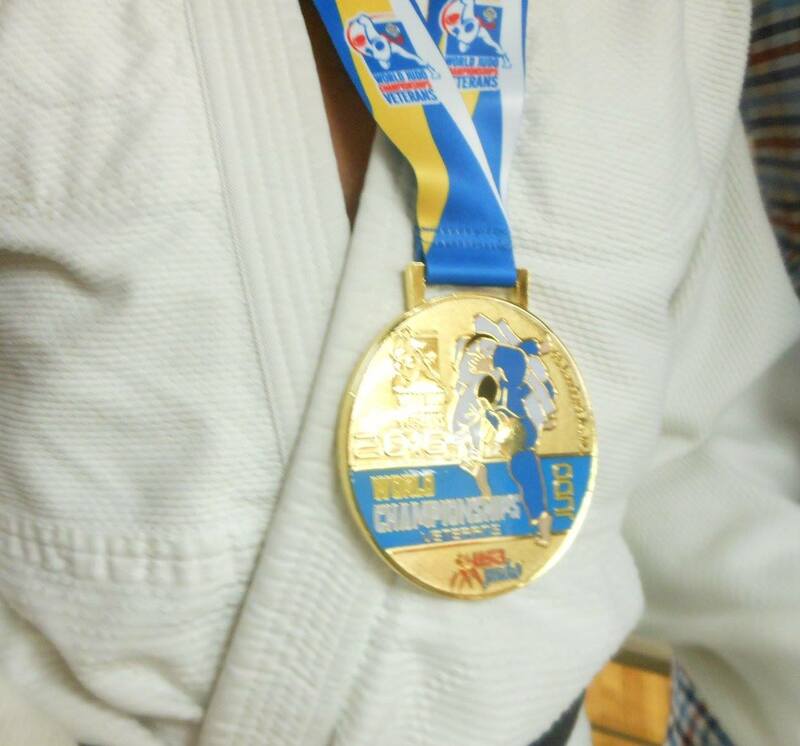 He had decisive wins against Japan, the Czech Republic and then against Great Britain in the finals where Sensei Jim took the GOLD!!! For those who have helped him train–we thank you all! WE ARE SO PROUD to have Sensei Jim at Tohoku and we can’t wait to have him home again and show us his videos and medal. TOTALLY AWESOME WAY TO GET THE JOB DONE!